Guaranteed Google top ten?? Not likely! Everybody in the digital marketing space knows there are a huge amount of scammers online, looking to make wild promises to businesses about how they can rank at the top of Google. For professionals, this is irritating to say the least, especially as many businesses fall for the spin and tell you how much cheaper they can get ranked, with a deal that’s been sent by email (unsolicited usually). Bearing this in mind, I thought I’d take a look at some of the most common claims and why they don’t work. Anyone with an email account and domain name will at some point have received a mail claiming that a company can guarantee top ten results. Funnily enough they never actually seem to go into any detail about how this will be achieved. Sometimes they do, when pressed, and this is when it’s easy to see that many companies use black hat SEO to achieve this. Whilst in theory black hat practices such as paid links, lots of poor content, duplicate content, cloaking etc. etc. might work in the very short term, the only real guarantee a client has is that at some point their site will be blacklisted. It’s worthwhile as a professional developing an easy-to-understand piece of literature to advise clients on what black hat is and why it doesn’t work. If you can get them to see that the price is low because of the risk, you’re halfway there. It’s also worth mentioning that the short term benefits are what black hat scammers rely upon to get paid before the Google penalisation kicks in. Earn revenue whilst increasing rankings? I think really all that needs to be said about these is the need for research. Many MLM schemes use affiliate programs that have little to no benefit at all. Similarly, when a client excitedly tells you that they can buy 1000s of ‘genuine’ likes or follows then ask them just why they think they are real. Nothing in life is that simple, as we know, but some clients still need reminding that short cuts in business rarely work. Besides, if it was that easy to make money whilst doing very little, we’d all be at it. Since Panda and Penguin updates hit there’s been quite some debate about the continued usefulness of link wheels, which have been an accepted (ish) SEO tactic for some time. Whilst some claim that they still have relevance, last year’s case study carried out by Larry Dozier suggests otherwise. This is especially interesting as the author had previously claimed that there was absolutely no reason why Google updates should affect their effectiveness if it was a quality, well-constructed wheel. “It appears, based upon my findings in two test cases, that Google has negated the positive effect which well-built link wheels once had upon search engine position,” Dozier said. He built two different types of link wheel, one using spun and poor quality articles, using the open wheel architecture and generating backlinks with “a scrape box blast”. The second was a high quality link wheel with good quality content and posted on a number of high PR blogs. The first poor quality link wheel at first achieved good rankings, popping up in the number 60 spot when using relevant search terms. However, despite early results, the site quickly plummeted until it was nowhere to be seen in the top 100. Surprisingly, the second site, which he describes as having an extremely high quality wheel, fared no better. This all points to the fact that the onus is definitely on traffic and content these days, rather than carefully crafted link wheels. For scammers however, there remains a high level of success claims when it comes to link building and as many website owners have heard of link building, they may be less aware of the intricacies of it. It’s worth mentioning the dangers of bought links to clients in this regard too. These are also a scammers dream, as they sound good but offer little, especially since the tiers of usually made up of terrible content that uses article spinning. The web is full of those badly translated and spun sites and it’s never going to work. As a writer, this one irritates me the most as it seems the web is awash with content ‘writers’ who will work for pennies, even in developed economies. This is a mixture of things really; again, spun content comes into play, as does the millions of people around the world that have an ambition to be a writer. Whilst of course there are many, many talented writers who can’t get published, the web is also full of people who unfortunately think they can write and are willing to supply content for nothing, just to see their name appear online or their work published somewhere. 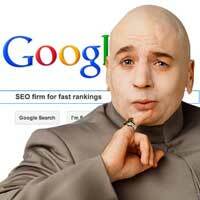 You get what you pay for and that includes for content as well as SEO. Having said that, it is something that Google updates is addressing, with the aim being to make the internet a place where you can find good quality, useful information. However, translating that to a cash-strapped client isn’t always easy and that’s why it’s a good idea to create some content to prove to them that even a smaller amount of money is wasted on things that don’t work. Extolling the virtues of white hat and professionalism are the way to go. Need help with your content marketing? Click here to find out more about our content marketing services.